Warning: This Keeping Up With the Kardashians clip will totally make you cry! 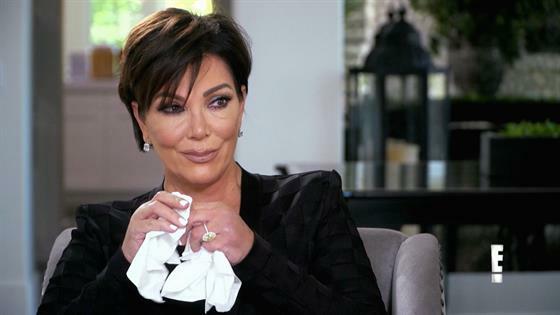 On this Sunday's KUWTK episode, Kris Jenner interviews her mom M.J. for a legacy video where she asks her mom questions about her life over the years. Before the interview even starts, Kris admits that she's "nervous" because she doesn't want to make it a "sad" or "emotional" experience for her mom. While the interview starts out strong, things take a very emotional turn when Kris asks her mom her biggest fear. "Biggest fear…I try not to fear," M.J. replies. "What's your biggest fear?" Kris, caught off guard, bursts into tears and says she doesn't want to say what her biggest fear is. "Why did you ask me that?" Kris says. "I can't believe I'm crying…just losing someone." Kris then gets up and leaves the interview because she's so overcome with emotion. Watch the video above to see Kris and M.J.'s interview!